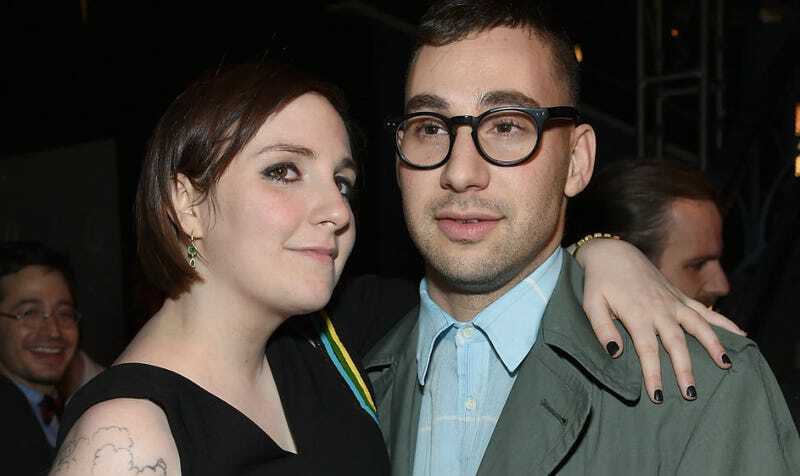 Is Lena Dunham Getting Married In Solidarity With Gay People? If you care and happen to be one of the five people in New York media who won’t be invited along with the rest of the Jezebel staff and, presumably, everyone at Gawker (maybe Rich), at least we all already know what Lena Dunham and Jack Antonoff’s wedding song will be: Taylor Swift’s “We Are In Love,” co-written by: Jack Antonoff. Also, why don’t these two have a witty portmanteau yet? Leck? Jana? Duntonoff? Antham? No?